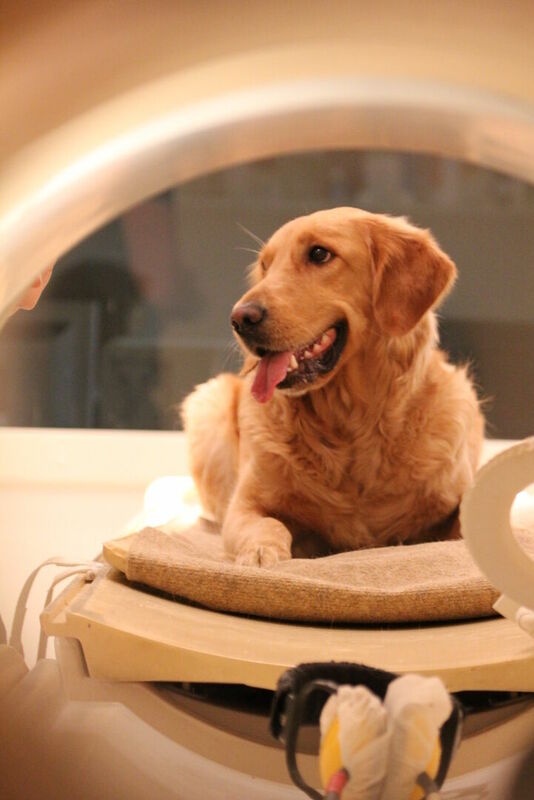 Dogs can understand what we're saying, this is according to a new study on dog vocabulary, titled Neural mechanisms for lexical processing in dogs, recently published in the journal Science. 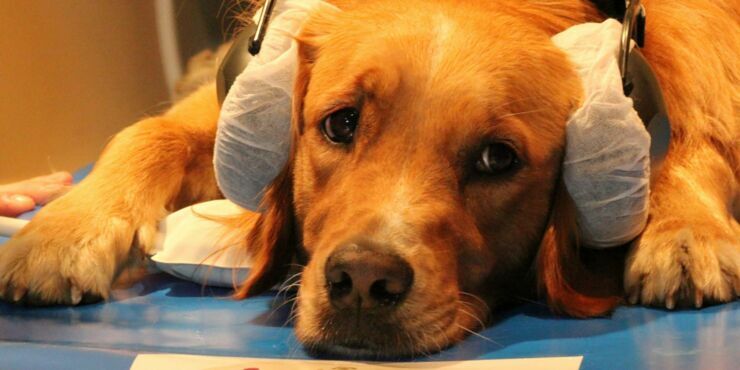 Of course, any dog owner will know this already, but now science has confirmed it. With humans, words are the basic building blocks of our different languages, but they are very rarely found in nonhuman vocal communications. But not so with dogs. 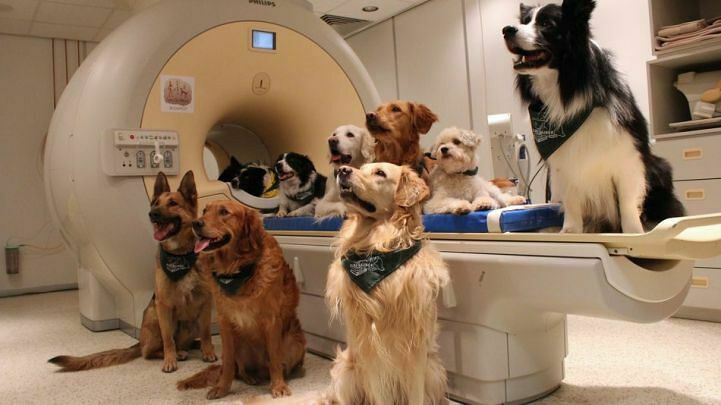 For the dog vocabulary study scientists in Hungary trained 13 dogs to lie still in a MRI scanner so they could monitor their brain activity when they were spoken to by their trainers. Phrases and words like “well done!,” "however," and “good boy” were said in cheery, praising tones or in a neutral voice. They found that, much like how our own brains interpret language, the right side of the brain processes emotion while the left side deals with meaning. So, if the tone of voice is matched to the words, canines are able to understand human speech and form their own dog vocabulary. Or some of it anyway. It has always been commonly thought that dogs can understand tone (as the video above demonstrates), so you could be saying something negative but if said in a happy intonation they would think it praise. 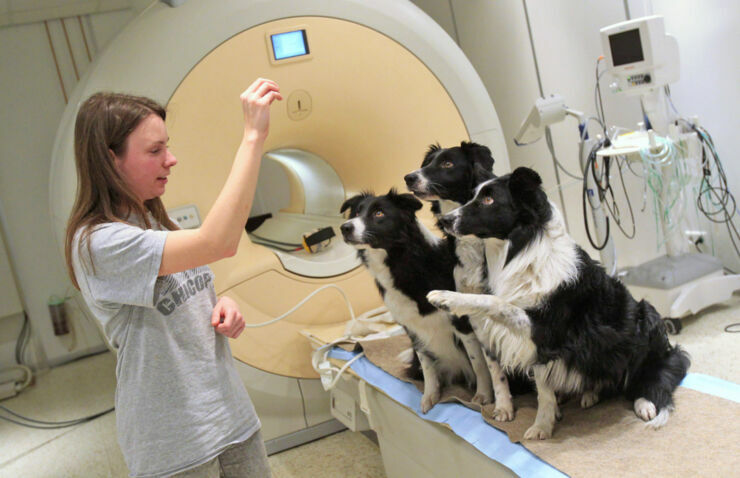 But the lexical processing study shows that using the right words combined with the right intonation causes both hemispheres of dogs' brains to light up, showing they understand both meaning and tone. 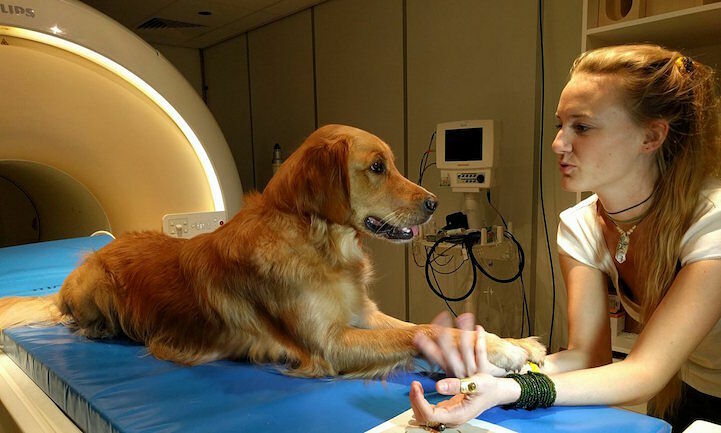 The head researcher of the study, Dr Attila Andics of Eötvös Loránd University, Budapest, said about dog vocabulary, “During speech processing, there is a well-known distribution of labor in the human brain. It is mainly the left hemisphere’s job to process word meaning, and the right hemisphere’s job to process intonation. The human brain not only separately analyses what we say and how we say it, but also integrates the two types of information, to arrive at a unified meaning." 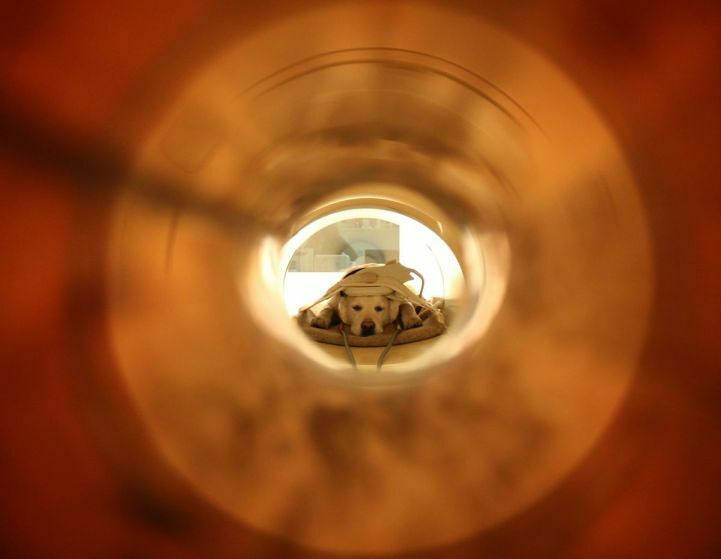 Continuing, "Our findings suggest that dogs can also do all that, and they use very similar brain mechanisms. It shows that for dogs, a nice praise can very well work as a reward, but it works best if both words and intonation match. So dogs not only tell apart what we say and how we say it, but they can also combine the two, for a correct interpretation of what those words really meant. This is very similar to what human brains do."